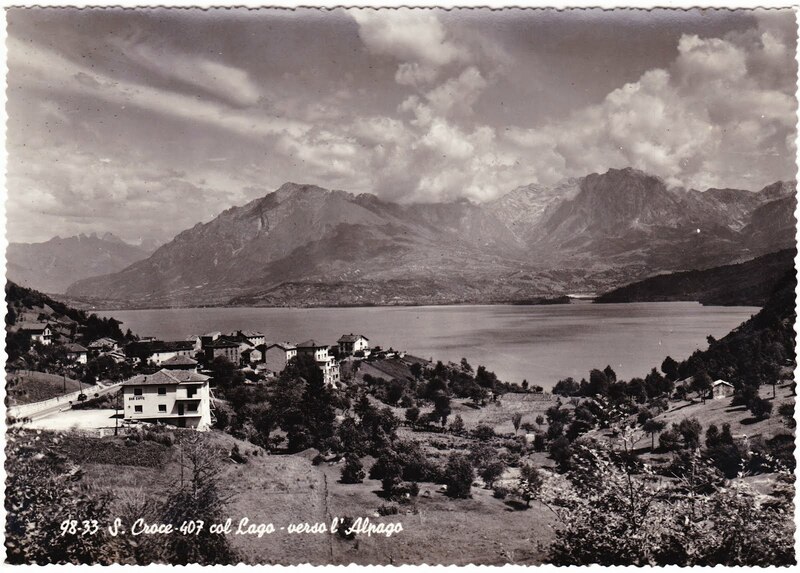 These two black-and-white postcards show off some beautiful scenery in northern Italy. 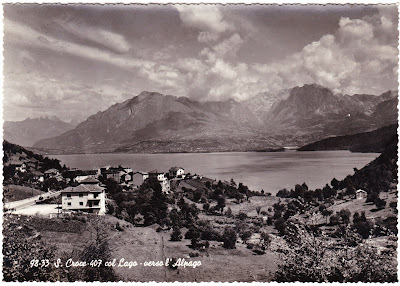 Albergo Ristorante was located near the shore of the Lago di Santa Croce in the Veneto region of Italy. Its offerings, clearly geared toward tourists, included afternoon teas and light luncheons. 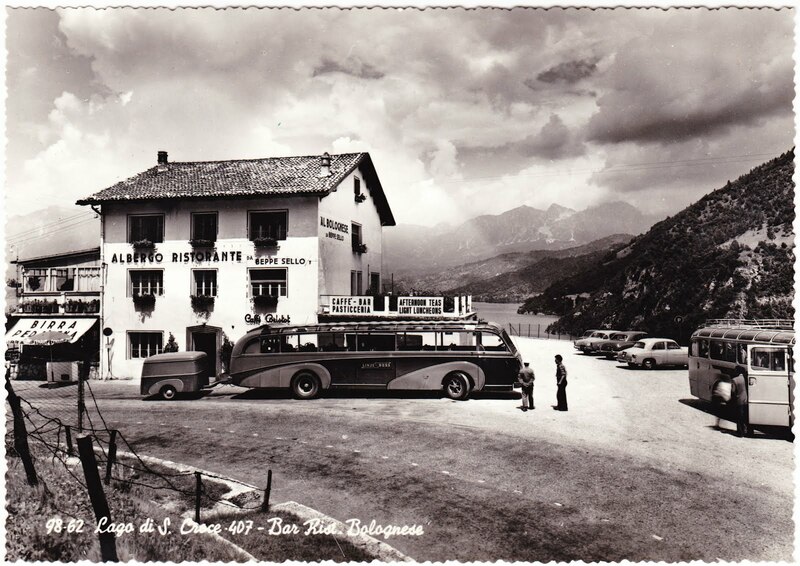 Meanwhile, that's quite a bus in front of the restaurant in the top postcard! Linjebuss was a Swedish bus company that was founded in 1940 and grew into a major transportation company. In the 1990s, it was absorbed into the sprawling international conglomerate now known as Veolia Transdev.